You guys wouldn't be traveling in a black bus, would you? after all we have been through..
you couldn't have waited a few weeks or even told me about this so I had some company when I go? If you can get to Devil's hole in an hour or so you can join us for the rest of the trip! Apollo is a killer attack dog! Have a blast all of you!! 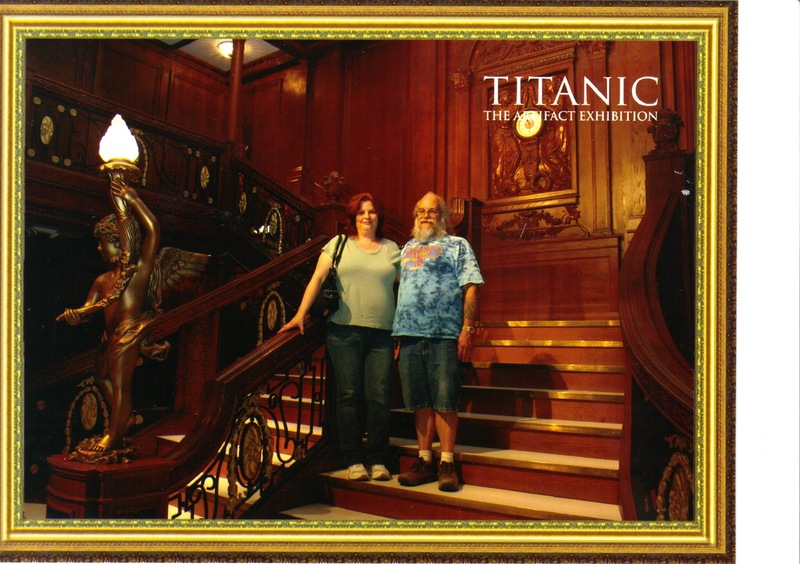 I am so freakin' jealous I didn't get to go! 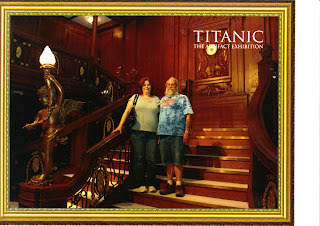 Liz: Glad you got to see the Titanic exhibit. See my note above. Grump: Nice standard schnauzer. Very cool breed of dog. See my note above. Did I mention I was jealous? Is it coincidence that you and Apollo have similar beards? It is a coincidence. He was going to be turned in to the pound about 3 years ago. So I took him. He gets along great with Patty's dogs. He looks like a good old boy. The pound puppies are often the best kind. I wished you were there/here too! Believe me I was there thinking of everyone and sending "witchy vibes" everyones way. Even when they wouldn't let me drive the black bus.